Representatives of Russia and the US visited the tomb of John Paul Jones, one of the founders of the US Navy, who later became a Russian Admiral, to commemorate the naval officer who had served both nations. 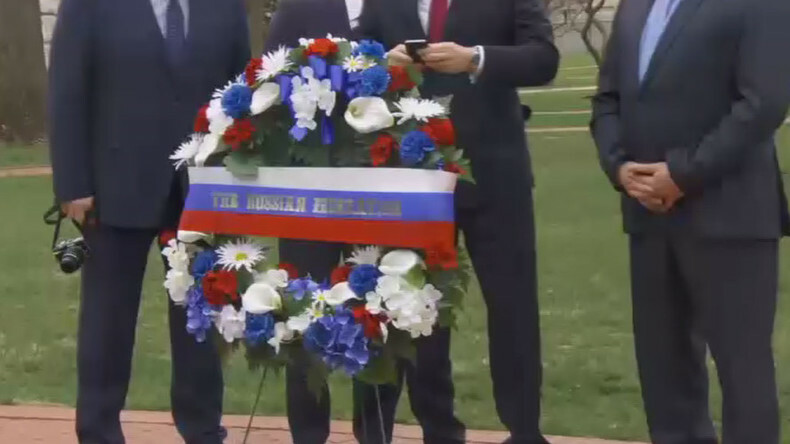 Russian representatives of the US-Russia Joint Commission on Prisoners of War and Missing in Action (POW/MIAs) visited the United States Naval Academy in Annapolis, Maryland on Wednesday to lay a wreath at the sarcophagus of Russian Admiral John Paul Jones, who is recognized as a hero both in Russia and in the US. 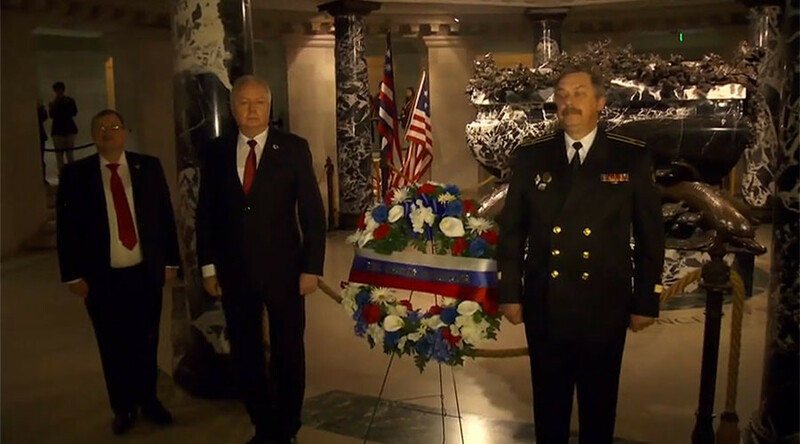 The officials laid a wreath draped with Russian flags in front of the magnificent bronze sarcophagus of the admiral and visited a small museum exhibiting the medals he received for his service to both countries. 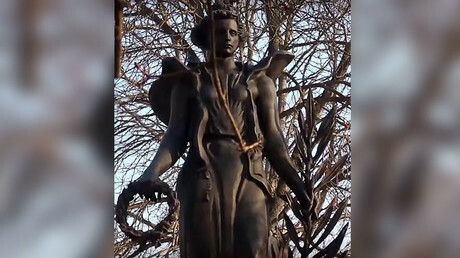 “It’s an example of how our United States and Russia are connected. I do think it’s a great commemoration of our history and our heritage,” Tim Disher, the US Navy’s director of international programs, told RT. “John Paul Jones is considered the father of the United States Navy, who was a hero and he fought in many important battles in our history and after the battles were won, he went to look in other parts of the world wherever he could contribute and make a difference. And that’s how he ended up in Russia, and ultimately in France,” Disher added. John Paul Jones was born in Scotland in 1747, and started his maritime career at the age of 13. He sailed for several years on British merchant and slave ships as an apprentice first, and as a senior officer later. The young sailor was not fond of the slave trade and quit it. His career then received an unexpected boost in 1768, when, during a voyage, both the captain and senior officers died of yellow fever and Jones became the captain of a merchant ship. He eventually got in trouble with the British authorities, and in the early 1770s fled to the North American colonies, adopting the last name “Jones” to escape the law. Jones subsequently became one of the fathers of the US Navy, as he commanded a number of ships in the American Revolutionary Navy, inflicting significant damage on the British fleet and winning key battles. Great Britain accused Jones of piracy, and King George III even declared him a personal enemy and promised to hang him twice. While a renowned naval commander, Jones did not receive the rank of admiral in the US due to his troubled relations with the authorities for his former involvement in the slave trade. He did not see action for some time and in 1787, entered into the service of Empress Catherine II of Russia, finally receiving the title of rear admiral. Jones’ service in Russia lasted for about two years, as he fell victim to court intrigues and was forced to quit, but in his time he managed to take part in a number of key naval battles of the Russo-Turkish war of 1787–1792. Jones then left to France to join the Revolutionary Navy, but died at 45 while awaiting a new assignment. His grave was lost, but in 1905, American historians uncovered it. Jones’ body was exhumed and reburied in the mausoleum at the US Naval Academy.